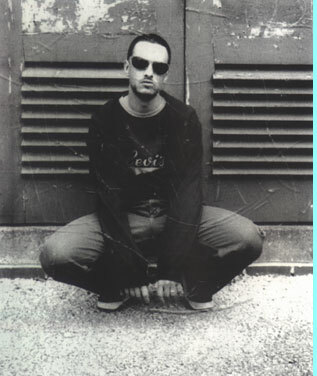 Future Loop Foundation AKA Mark Barrott, came to Planet Dog Records' attention in 1995 after sending a demo tape featuring 3 drum n' bass tracks to the label. The style of sound, a hybrid of cool drum n' bass and lush ambient soundscapes was a tempting indicator of things (possibly) to come and Michael Dog challenged Mark to write 3 more tracks, to demonstrate that this demo wasn't just a happy fluke! 3 more excellent tracks duly arrived and as a result, Future Loop Foundation became the 5th and final addition to the Planet Dog stable. 1996 saw the first album release Time And Bass, a lush collection of tracks, including the 6 'demos' which was an immediate hit with the Planet Dog audience establishing Mark as a talented writer of evocative and timeless tunes. Future Loop Foundation was the only Planet Dog act that hadn't come from a live performance tradition and so with encouragement from the label, Mark developed a live midi-based show in order to be able to showcase the material that he was writing. Slowly but surely, through a determined regime of gigging, writing and doing interviews, Mark managed to carve out his own niche within the more open-minded end of the UK drum n' bass scene and within the Megadog/Planet Dog fraternity. 1997 saw the release of the beautiful Sonic Drift EP, followed by the Karma EP featuring remixes by Click N' Cycle and The Future Engineers, interspersed with a busy gigging schedule all over Europe, establishing a firm fanbase and plenty of radio play and press support across the continent. Conditions For Living, Future Loop Foundation's second album, was released in 1998. Far more diverse and musically more mature than Time and Bass, Conditions For Living received rave reviews in the music press both in the UK and abroad, for being a highly listenable, well produced and musically diverse selection of tracks. This enduring album actually received the best critical acclaim of any of the Planet Dog releases and should have established Future Loop Foundation once and for all as a highly respected writer and producer. Sadly, the release coincided with the implosion and eventual demise of Planet Dog's backers, Ultimate Records and the album didn't receive the promotional support that it needed in an increasingly commercial climate. The album was constantly out of stock, Ultimate being unable to afford to meet the costs of re-pressing and having grossly underestimated the level of demand. Consequently, the album came and went despite the clutch of positive reviews, gigs, radio appearances and DJ support. Future Loop Foundation left Planet Dog and went on to sign with Birmingham's Liquid Records, producing the excellent Phunk Roc album which was supported by what had now developed into a rocking live show, featuring a rapper and scratch DJ performing alongside the producer himself. Click here to see Future Loop Foundation's discography.